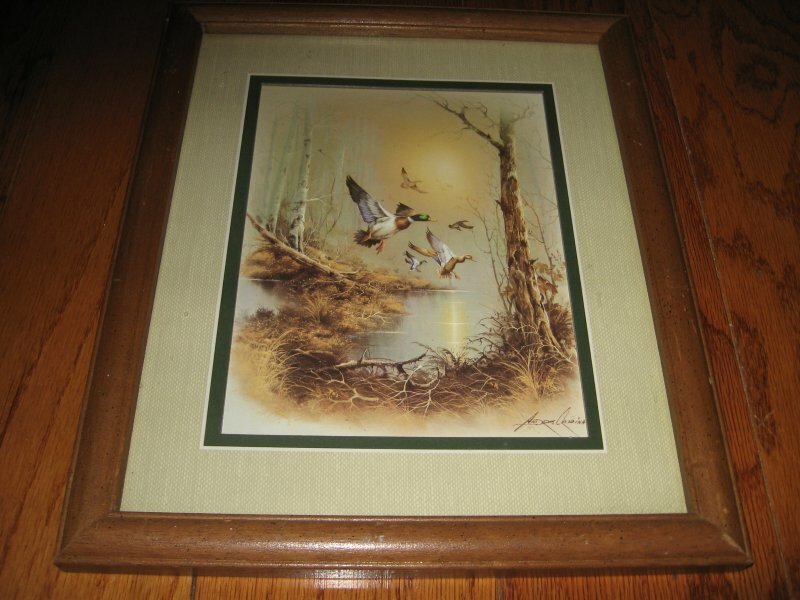 This is a beautiful reproduction of a painting showing mallards flying in early morning. Wood framed, matted, with glass. The whole piece measures 11" x 13".